This years' Apple Design Awards recipients spanned the globe, ranging from novel games designed by a single developer to larger productions developed across a staff of full time coders and artists. 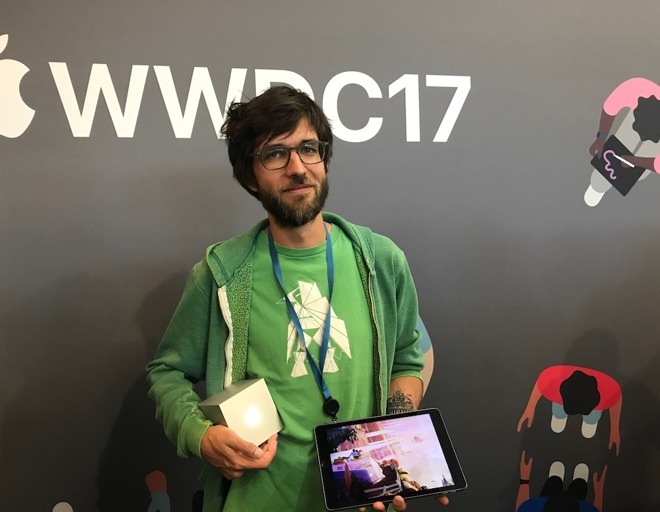 AppleInsider met up with a series of ADA recipients attending WWDC this year. 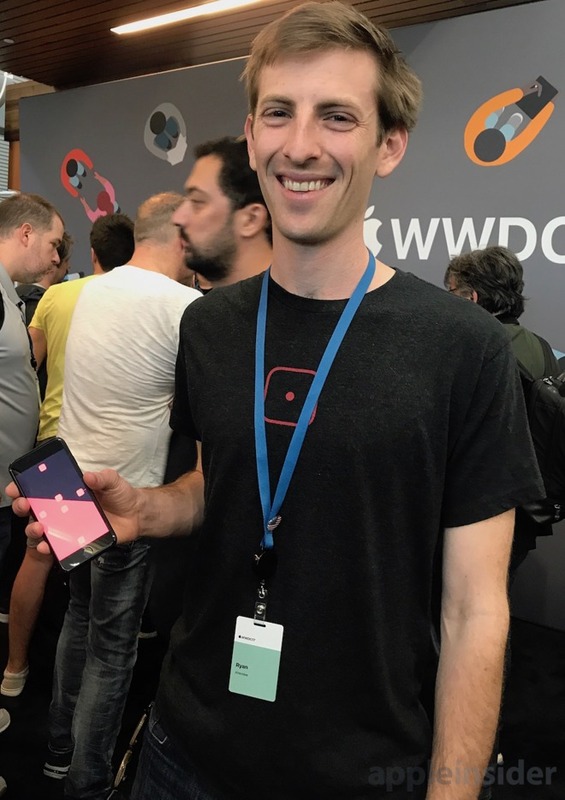 Among them: Ryan McLeod, the solitary developer of Blackbox, a novel puzzle game that invites you to "think outside the box" in a series of challenges that require discovering a solution without touching the screen. The free game ships with 50 puzzles, and its monetized with In-App purchases that unlock additional puzzles, hints or you can simply "buy Ryan a California Burrito" for $7.99. Mushroom 11 is the creation of Untame Games, a collaboration between a coder and artist who both love to travel —in fact, programmer Itay Keren and artist Simon Kono laid out the concept and design of their title while vacationing in Italy with their wives Kara Kono and Julia Keren-Detar, who produced and created art for the game, respectively. Over three and a half years, they worked on the concept of a new side scroller game where the main character is a rapidly growing blob of cells inspired by mushrooms. They even worked with a chemist and biochemist to flesh out the mycology behind its behaviors. The game also features a electronic soundtrack by The Future Sound of London, music which Keren grew up listening to; he said he was thrilled to find that FSOL wanted to collaborate. Airmail, a popular, powerful email client that started on the Mac and has moved to iOS, is the product of Bloop developers Leonardo Chiantini and Giovanni Simonicca, located in Siena, Italy. Airmail features integration with providers including Exchange, Google, iCloud and IMAP, and supports cloud-synced status between desktop and mobile, including support for spam flagging and snooze, a feature that delays attention of a message to a scheduled point in the future. The global reach of the app is supported by its localization in more than two dozen languages. 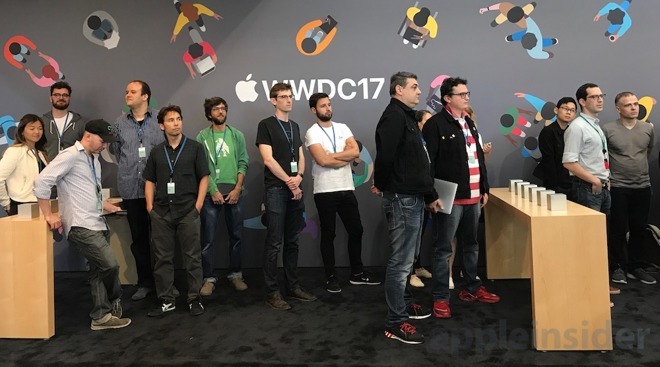 And in speaking about the new announcements at WWDC, the developers particularly noted an appreciation of Apple's direction with the new iMac Pro, signaling support for the high-end needs of its core users. Severed, a game by Canada's Drink Box, is the work of a dozen people working for a couple years. The title first appeared on Sony's handheld PlayStation Vita, but was ported to iOS with assistance from Apple in discussion of best practices in working with a touch user interface (Vita is oriented around joystick control). 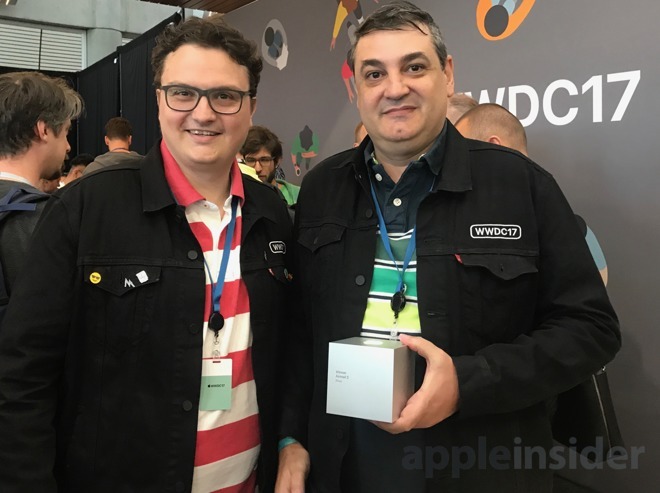 A Drink Box developer said the ADA was the "biggest award we've got" and noted an appreciation of Apple's support for its app developers. Among the new technologies the firm has adopted is support for 3D Touch on iPhone 6s/7. Old Man's Journey is an unconventional story game from team of ten located in Vienna, Austria. It follows a traveling old man who frequently stops to rest, triggering memories that tell a story. There are no words; the entire experience is visual storytelling. It's an exploration game following an emotional progression, with rich visuals optimized for iPad. It uses a unique game mechanic where you change the shape of the world to guide the character along paths. Kitchen Stories, a food preparation app created by a group of 30 developers, content creators and staff located in Berlin, Germany, aspires to make baking and healthy cooking easy and engaging with usable, step by step guides including recipes create shopping lists for you and adapt ingredients for the number of people you plan to feed. As if a side-story from "Planet of the Apps," the founders of Kitchen Stories couldn't initially find investors willing to fund their idea, so they sold their cars and took loans from family members to self-fund the project with an initial $25,000. They now have 14 million users who use the app in 12 languages. Rather than being supported by ad banners, video prerolls or surveillance advertising, the free app is monetized through partnerships with premium brands who provide kitchen equipment and ingredients for promotional consideration. That's important because, as the group noted, users increasingly don't want to sit through ads or have their video playback interrupted by prerolls or interstitial advertising that distracts from the content rather than enhancing it. Lake is a "destress" coloring app that presents professionally created illustrations for users to color by hand or using Apple Pencil on iPad Pro. Created by a team of five from Slovenia, the app has 1.3 million subscribers who get a free drawing daily and can pay to unlock the work of artists. User's In App Purchases support the work of popular illustration artists who have large followings on Instagram. The app presents a five piece toolkit for coloring, including an acrylic brush, watercolor brush, spray, fill and an eraser. 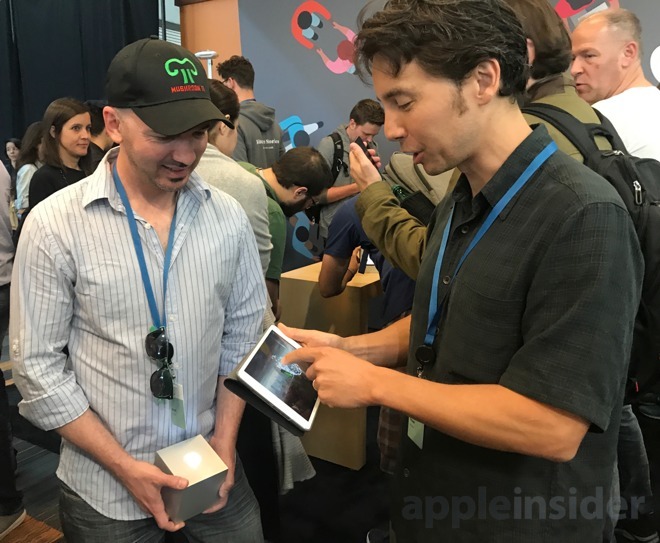 Lake's developers expressed appreciation for Apple's new attention to revamping the App Store in iOS 11 to highlight new apps and In App releases, and to make content easier to find. 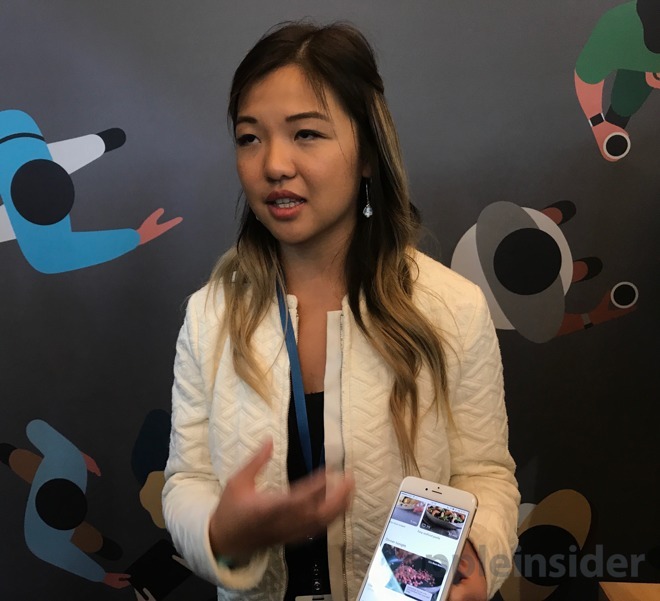 Additional ADA winners were announced by Apple today at 11 a.m. Pacific, on a page that takes a closer look at the teams behind each of the winning apps.